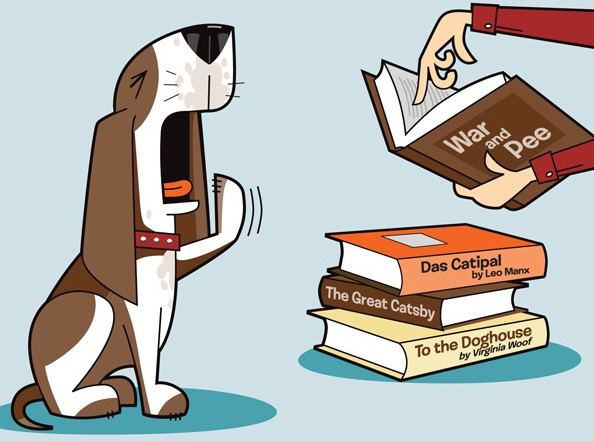 Book Giveaway Contest: What Books Would Bore Your Dog? | Will My Dog Hate Me? Book Giveaway Contest: What Books Would Bore Your Dog? It’s true, dogs aren’t very discerning literary critics. If a book isn’t liver or chicken flavored, they tend to lose interest. Some volumes, however, seem more capable of evoking canine ennui than others. Such classics, for example, as War and Pee; Das Catipal; To the Dog House; and the Great Catsby. But those titles, which appear on the cover of my new book, Am I Boring My Dog, are just a few of the many my friends and I came up with. I’m sure you can come up with more. If you do, there’s a prize in it: A copy of that new book. It’s simple: Write into the comments section of this post with a title of a well-known book that would make a dog yawn. I’ll chose the seven best, one for each day of the contest, and send each of the winners an autographed — and paw-printed — copy of Am I Boring My Dog. Although each participant can only win one book, there’s no limit to the number of titles you can submit within the contest time frame: August 24 through August 31. Just be sure to check the comments section so there’s no duplication. At the end of each day I’ll compile a list of the submissions and post them here as updates, so that those who want to enter on the following day won’t have to scroll through the previous day’s entries. My prime criterion for selecting a winner? Making me laugh. You get extra points if there’s also an appropriate author with the book title, e.g., To the Doghouse by Virginia Woof. I deduct points for getting the author wrong, e.g, Das Catipal by Leo Manx. (Maybe there was some kind of cat/lion/Leon association that seemed clever at the time, a conflation of Leon Trotsky with Karl Mark? A spillover from War and Pee and its feline-ish author, Leo Tolstoy? I admit some drinking might have been involved.) 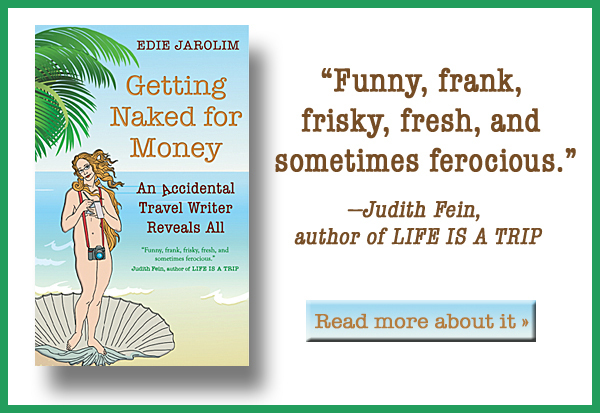 Luckily, I wrote the book and so get several free copies. Why would you want the prize, sheer fun of the competition aside? See About Am I Boring My Dog. I’ll announce the winners on September 1 — which also happens to be the publication date of the book. So to recap: August 24 to August 31. Post the titles of books that would bore your — or any other — dog in the comments section, below. The response has been terrific, beyond my expectations. I’ve been chuckling all day. What follows is an alphabetical list of today’s entries, so those submitting titles tomorrow can see what’s already been posted. And even those who don’t want to enter can have a good laugh. Cat’s Cradle by Kurt VonneCat. Hairy, Bo and Shirley – The Three Pooches and The sitter Downers. Peace, Love & Heeling by B.S. Don’t forget to look at previous entries — including mine. I had to delete a few repeats today. Midday update, August 26th I forgot to mention that some of the charm of the original submissions lies in the commentary that comes with them. For example, the title Lady Chatterley’s Rover came with the comment “a story about some woman and her dumb horse. Rover is barely even mentioned.” I’m listing the titles alone each day for the purposes of the contest, but for the full flavor — and another way to divert even more time from the work you should be doing — browse through the comments section. Well, the number of entries may be diminishing, but the quality isn’t. Once again, I’ve got some amazingly clever submissions. Some of you — you know who you are — are outdoing yourselves with multiple entries, in some cases series by a single author. I’ve broken them up for the purpose of alphabetization, so others can check to see if they’re duplicating past efforts. But, again, do browse through the comments section to see them in groupings, replete with commentary. And let me know if I’ve gotten any of these wrong. Snow Falling on Kennel by David Guterson. The contest is winding down — tomorrow’s the final day for entries — but we’ve got a second wind here, with the number mounting. It’s true, many are thanks to the addicted few, but some new entrants turned up, too. All this to say, it’s not too late though the competition is intimidating. I haven’t caught all the repetition, I know, but I have all of Monday to sort them out — and select the winners. You know how I said I would be awarding 7 books, one for each day of the contest? I’ve always been math challenged. August 24-August 31 is eight days. So the seventh and last day of the contest is tomorrow. Hey, I need the entire day of Monday to sort out the entries and decide on the winners. And some of you need to get back to work! It’s been a slow contest day. For the previous days, I’ve been counting the shutdown of my computer — around 8pm Pacific Standard Time — as the end of the day, but since I cut off the contest earlier than previously announced due to a mathematical error, I’ll give y’all the rest of Sunday and until I get up Monday to submit the last entries. Figure that’s about 5:30am — plenty of time for those of you on the east coast, in the U.K. and in Australia (I think; and yes, that means you, Susanne) to get your last entries in. Also: I’ll be welcoming Frankie home from his stay in the veterinary clinic later this afternoon. I don’t have all the details yet, but it seems that Frankie’s illness was due to a one-time intestinal infection, nothing major to do with his diabetes. Hoorah! So I don’t want to bore him by spending time away from him, i.e., on the computer. It’s been amazing. Time to walk Frankie. I’ll be back later with the final list, and some commentary about trending authors and topics. I may have to enter a 12-step program to stop doing this. Oh, Edie…. Correction to my “Pup from Slavery”….. I should’ve written that the author is Booker T-Bone Washington. Trivia of the day: seriously….the “T” in “Booker T. Washington” stands for “Taliaferro”…. just like my last name, but without the silent “g.” Go figure. AAAARGH! I blame you for this one Edie, you goaded me into it – I was all done, really I was!